LOAKL.COM | February is Here— Are You Still Committed to Your Resolutions? 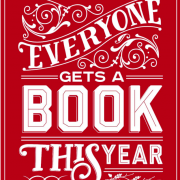 You are here: Home / Book Review / February is Here— Are You Still Committed to Your Resolutions? February is Here— Are You Still Committed to Your Resolutions? The beginning of the year is an ideal time for evaluating what happened last year and building and improving on it in the year ahead. It’s also a great time for a reset—a time to take a deep breath and start fresh. Yet, implementing new plans can be challenging; it’s not easy for us to change. Whether it’s getting a team accustomed to doing something differently, decluttering your house, or just changing your eating or exercise habits, we humans are creatures of habit. And, after setting ambitious new goals, we sometimes lose steam after a month or two. February is a great time to tackle the topic of persistence and how we ensure that we’re actually tackling the goals we set for ourselves. Three books standout for help with this. 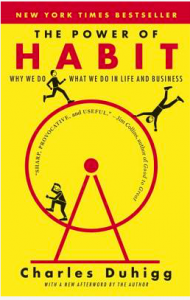 In The Power of Habit: What We Do in Life and Business, author Charles Duhigg explains how we form habits, which can be either helpful or unhelpful habits that contribute to our success or set us up for failure. In particular, he discusses what research can tell us about making new habits stick. He outlines a “cue, routine, reward system” that re-trains our brain to institute desirable new routines which can become new habits. The Power of Habit shows how understanding this habit-based philosophy has helped break addictions and get people on the path to implementing successful change. We’ve also been hearing a great deal about grit, this magic quality that enables some people to persevere through difficulties and overcome them. 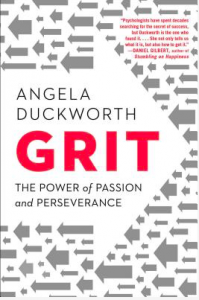 Two books in particular dive into this and help explain the science of becoming our best selves: Grit by Angela Duckworth and Getting Grit by Caroline Miller—both offer advice and inspiration around this theme. In the bestseller Grit by Angela Duckworth, there is an actual measurement scale that helps you evaluate how gritty you are by rating your answers to questions like “My interests change from year to year” or “I have difficulty maintaining focus on projects that take more than a few months to complete.” This is helpful for setting a baseline, that can always be improved upon. In Getting Grit, Caroline Miller advises on the importance of goal setting: in other words, we “can’t hit targets we don’t see” and outlines a roadmap for developing grit in order to get there. Both books advocate for creating the right goals with just the right amount of challenge—goals that essentially take us out of our comfort zone and yet are slightly beyond our current ability. Goals need to be realistic enough to be achievable. 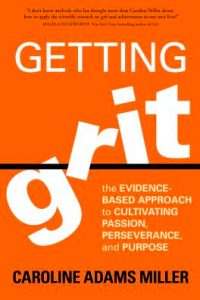 While Duckworth examines related topics like parenting for grit, playing sports with grit, and developing a culture of grit within an organization, Miller’s approach is more of a step-by-step plan for achieving grit in whatever you set out to do. 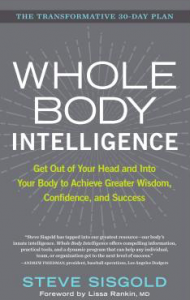 An outlier in these goal-setting books, yet still focused on helping readers achieve confidence and success is Whole Body Intelligence by Steve Sisgold. This book takes a somatic approach to releasing whatever’s holding you back and keeping you from achieving what you set out to do. Sisgold’s theory is that trapped tension in the body related to an old belief can hold us back, and encourages everyone to tap into their own body’s wisdom. He delves into body memory, i.e. negative memories stored within our bodies of which we are largely unconscious. He provides a method for releasing these stuck patterns and healing through awareness and structured exercises. When you shop locally with LOAKL.com, you can ensure your books are ready for in-store pick-up at a nearby bookstore or quick delivery. 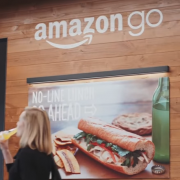 Is it Time for Amazon Go ... or No? Is it Time for Amazon Go? Or No? 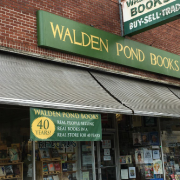 Is the Local Economy the Solution?